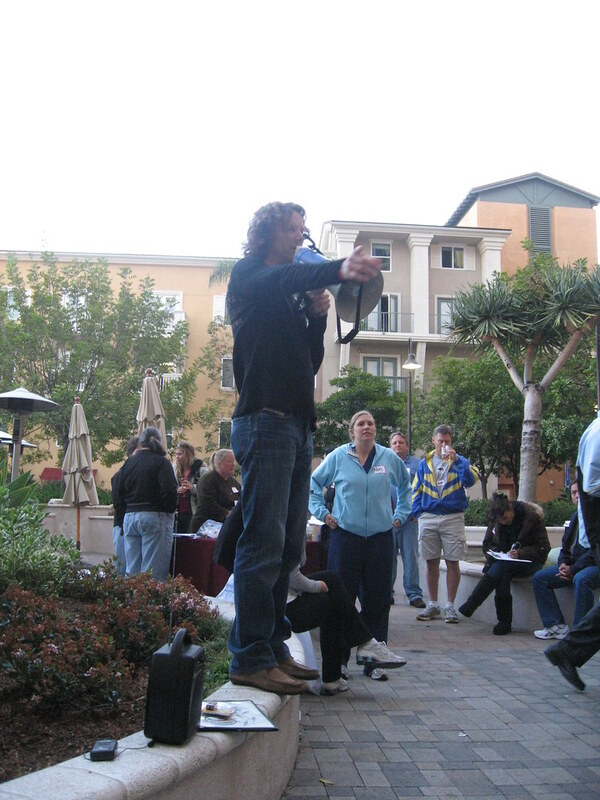 The Green Girl attended the Sole Runners Summer Season Kick-off last night at Buono's in Downtown Long Beach. 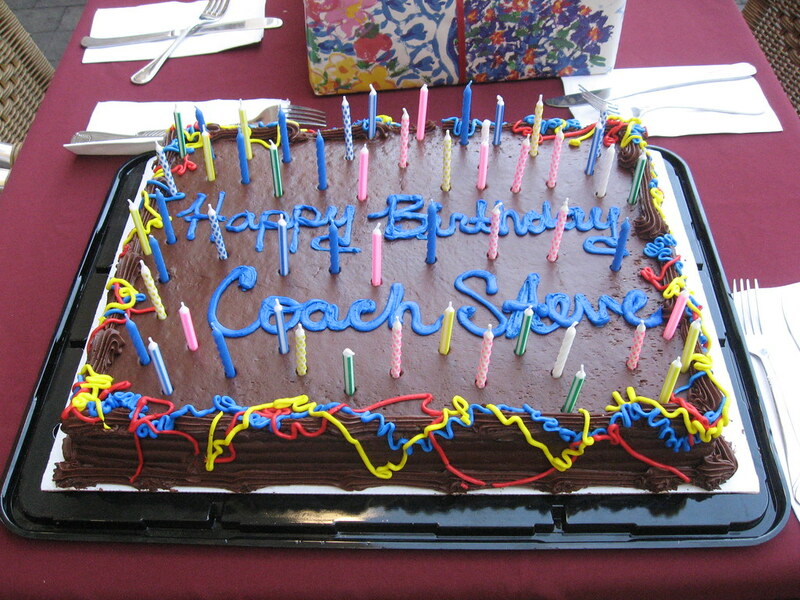 It also happened to be Coach Steve's birthday. 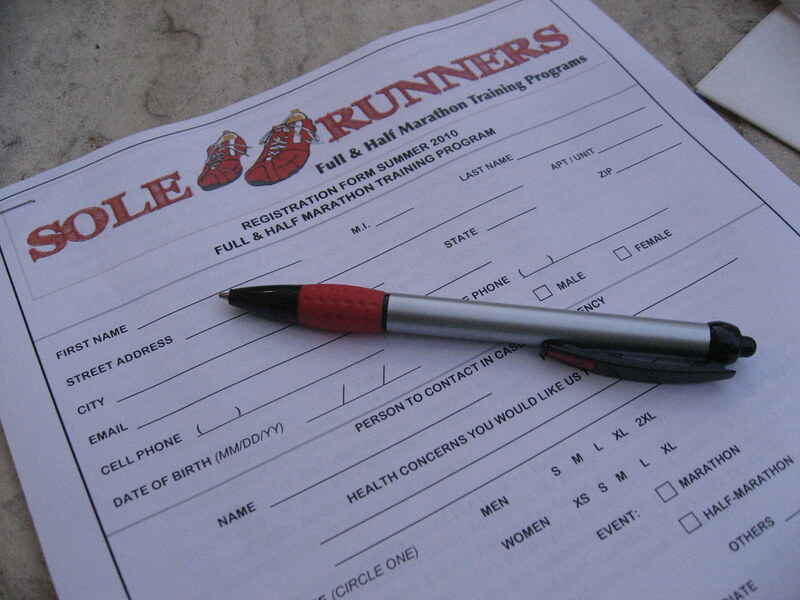 For those of you who have been asking about my running group, the Sole Runners, it's a 21-week training program. The cost is $150 and it includes several hour long group ChiRunning lessons, a Sole Runners technical training shirt, a copy of Danny Dreyer's ChiRunning book, and weekly training articles. The $150 does not include any race registration fees. We also occasionally get free stuff and discounts from our sponsors. For example, Zico often supplies us with tasty coconut water for our post-run refreshment. Coach Steve also coordinates educational events for the runners. In addition to the ChiRunning workshops, we've had the opportunity to attend sessions on injury prevention, nutrition, and even stretching. Earlier this year, Phiten came out and did a taping clinic to demonstrate their titanium products before one of our runs. This will be my fifth training season with the Sole Runners. I was introduced to this group when I did a 2 hour private ChiRunning workshop with Coach Steve. I liked his coaching style so much that I immediately joined. I love the positive energy and support I get from the Sole Runners. Our group includes runners of all abilities so you can always find someone to run with if you should so desire. And as a true back-of-the-packer, I really like that our group runs for time - not distance. Instead of everyone running the same number of miles, we all run out for a given period of time and then we all turn around and head back. It may seem insignificant but this means I can finish at the same time as everyone else. This makes a big difference when it comes to really important things like making breakfast plans with other runners because I know they won't have to sit around waiting for me to shuffle back. 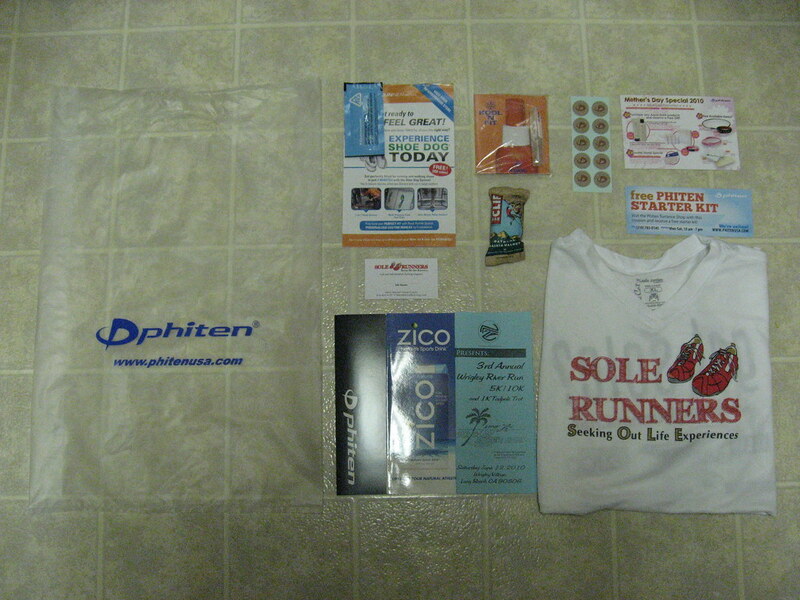 We received a goodie bag that included some items from our sponsors. Did the Green Girl mention how much she loves goodie bags? I was excited to see a little bottle of Kool 'N Fit and a strip of Phiten Titanium Discs. A goody bag!!? What a wonderful start to a wonderful season! I want one! I wish all the goody bags to our races were like that one! Hey, I ran at Marina this morning and saw your group. It looked like a big turnout! I had to run really early, because I had to get to work by 830-9-ish.. I wish I could more consistently make the SoleRunners events to check them out. One of these Saturdays, I'll make it out there.